When nothing else comes close to describing the innumerable feelings of love and warmth you get every time she’s near, only a limitless well of inspiration and affection will do. 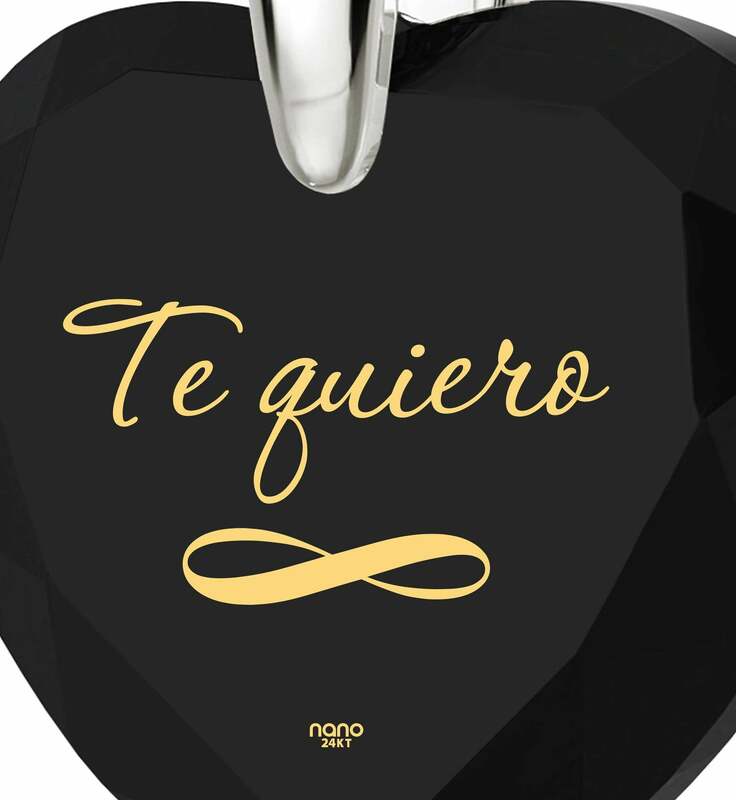 The infinity pendant that lies before you will make an excellent symbol of your feelings, and a fine accessory that will spruce up her style to boot. 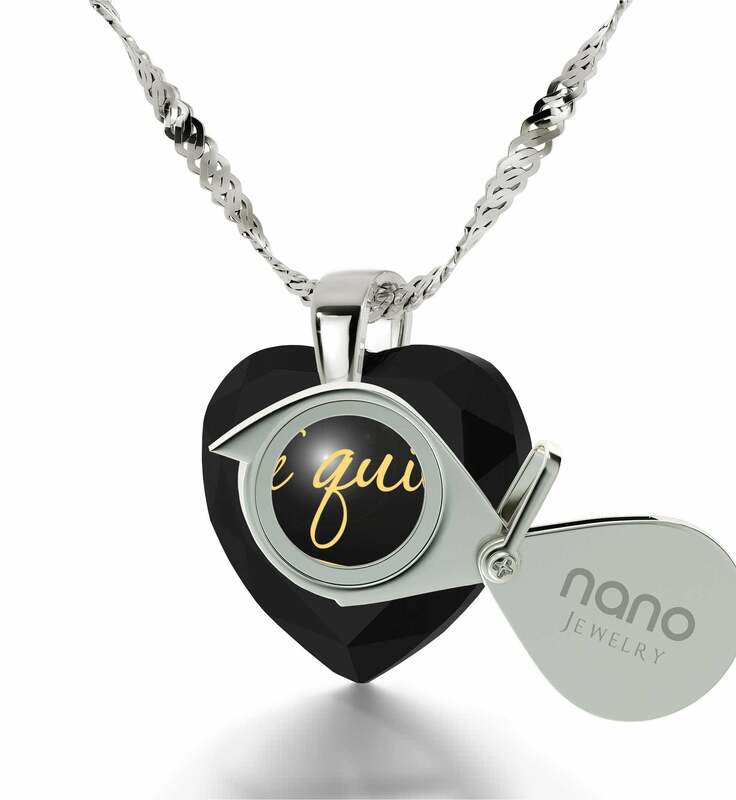 When it comes to versatility and power of expression, you’d be hard-pressed to find an engraved pendant that could be more significant to her! 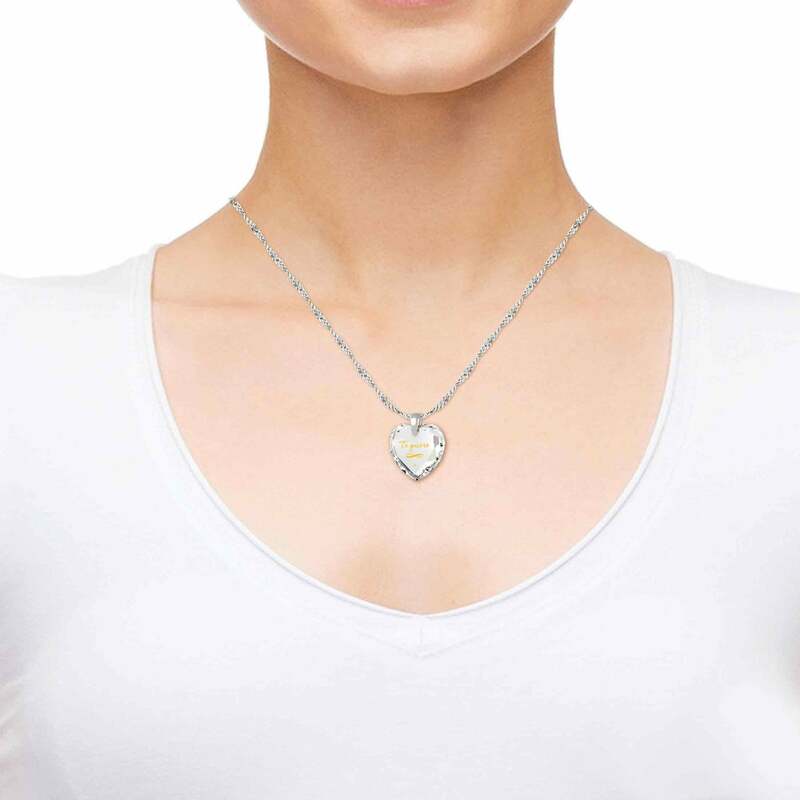 One look at the delicate women’s silver necklace will be enough for her to realize this isn’t just an idle boast. 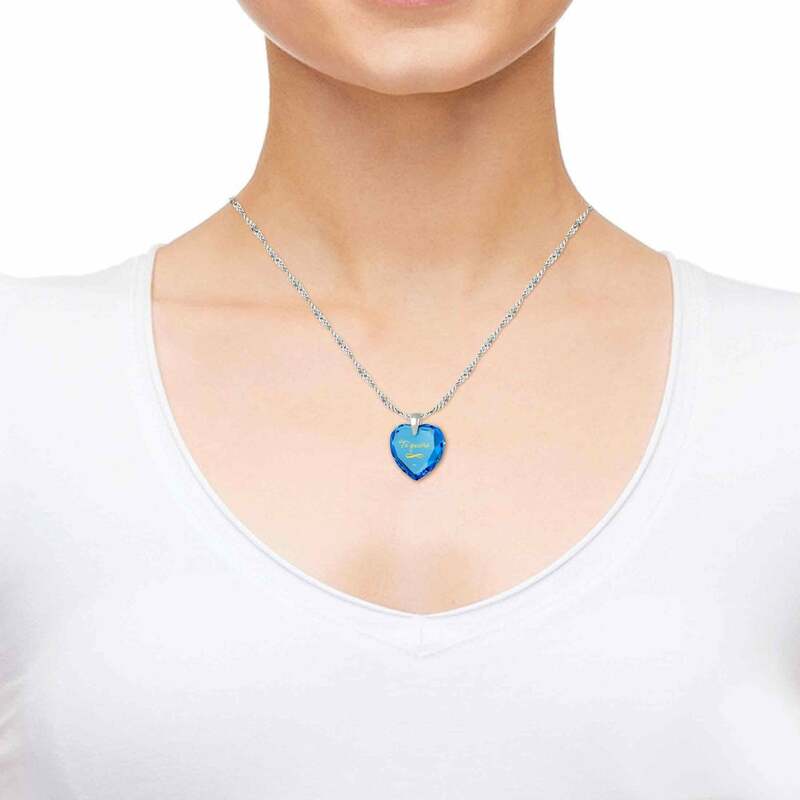 Made from the finest materials and designed with high aesthetic appeal in mind, the engraved necklace radiates a cute confidence onlookers will stop to notice. 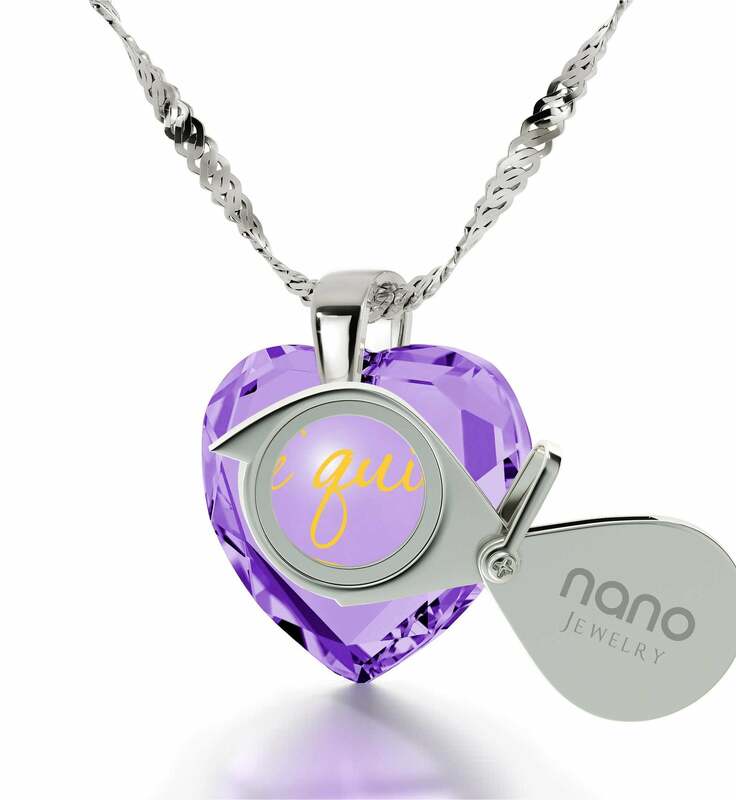 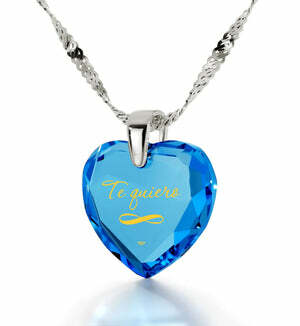 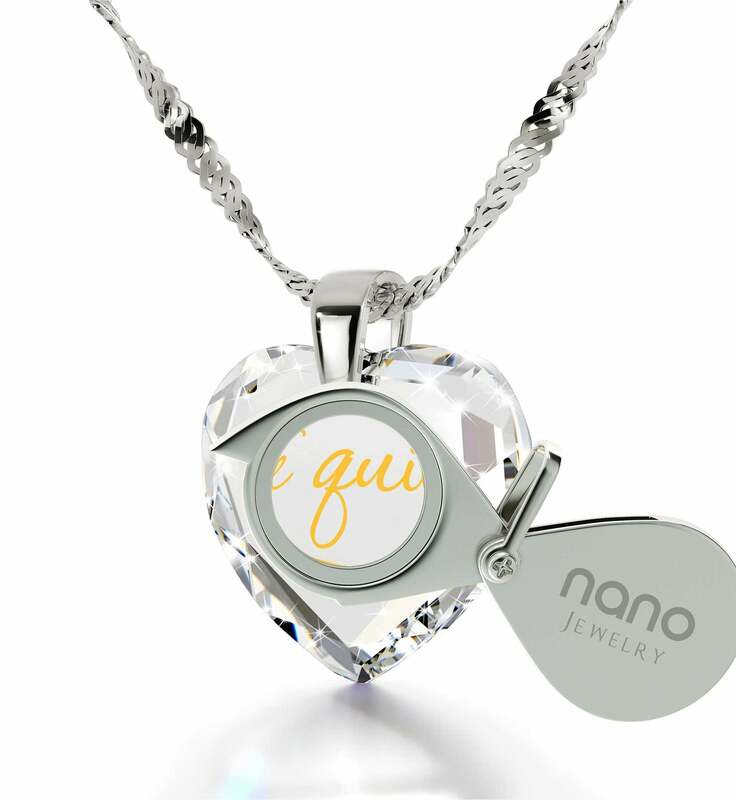 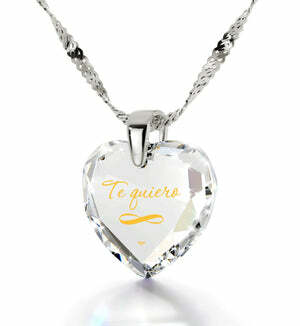 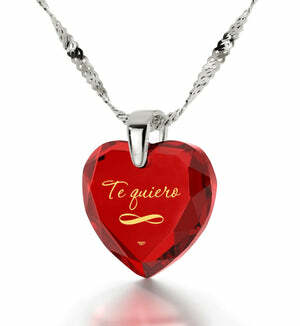 A big part of its charm is there thanks to a one-of-a-kind inscription which adorns the center of its cubic zirconia gem. 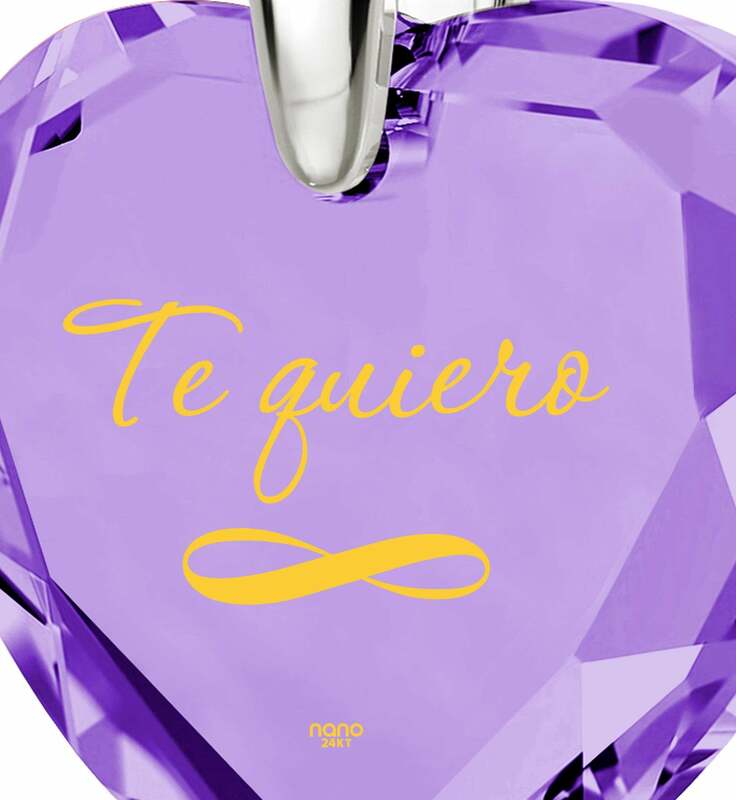 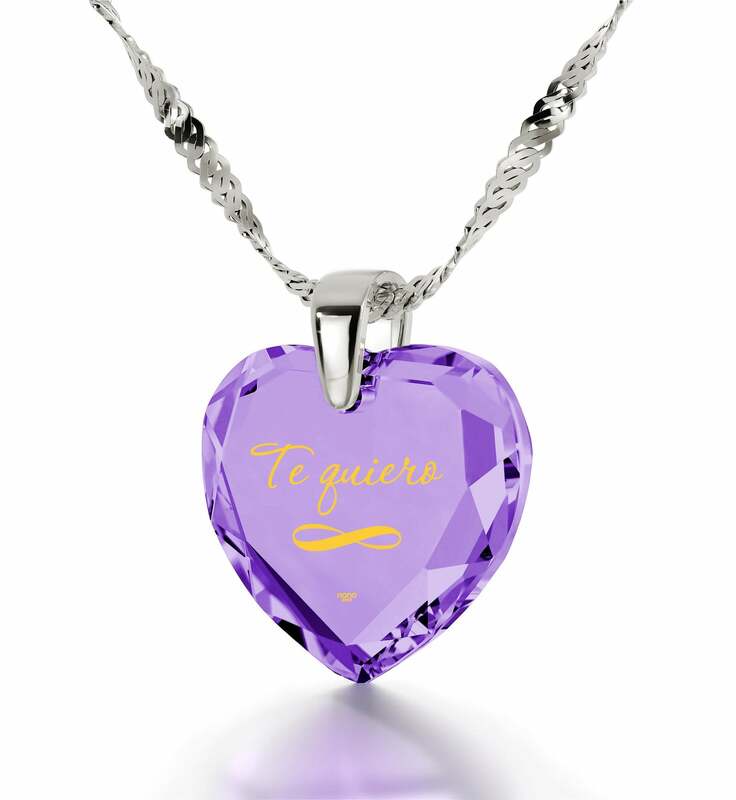 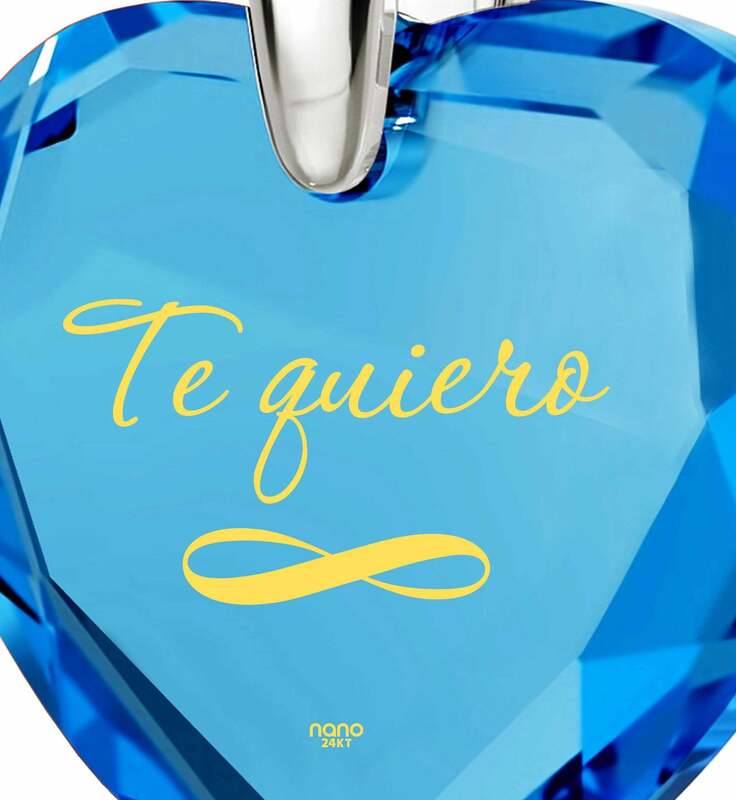 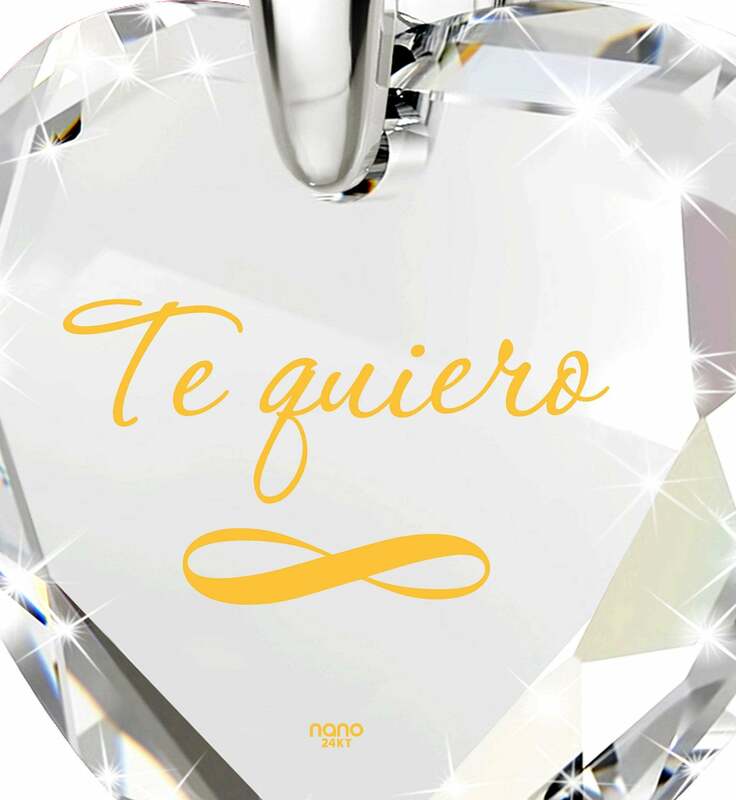 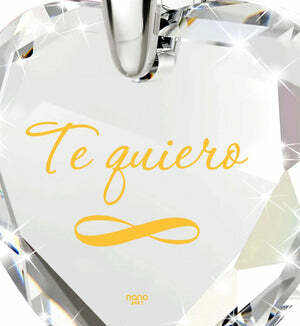 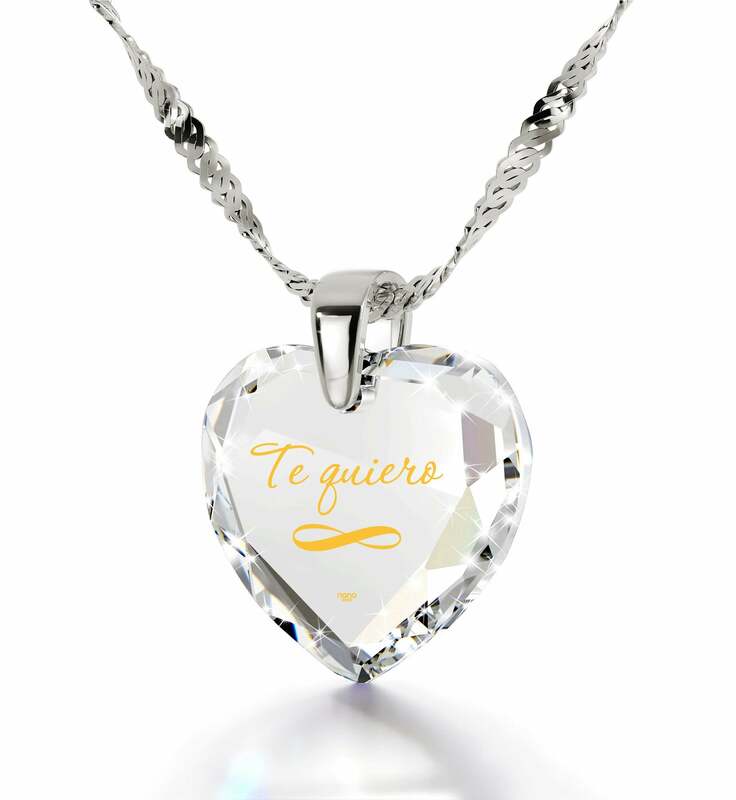 Made with the help of a special process known only to Nano Jewelry, it features the words “I Love You” in Spanish and an infinity symbol, all executed with perfection using 24k pure gold made to last more than a lifetime. Other engraved jewelry can’t even compare because the intricacy of the inscription makes this necklace a unique delight. To increase her enjoyment even more, we’re surprising her with some extra goodies! 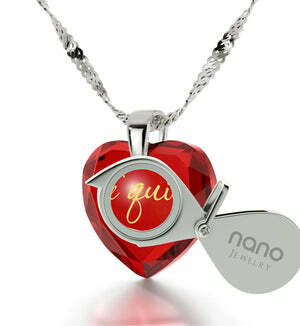 The heart necklace for girlfriend arrives in the company of a petite magnifying glass and a special box. 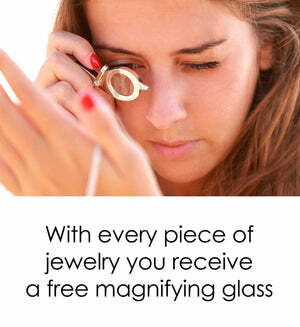 When it isn’t helping her discover the golden inscription to its fullest, she can find a place for the magnifying glass on her keychain. The box is there to make for an exclusive gifting experience and keep the necklace safe. All of this amounts to a top gift idea for women you shouldn’t pass up on!